I had once again gone to bed well after midnight and thinking about what my husband Edmund had to miss by going home to give the cats their medication every night. 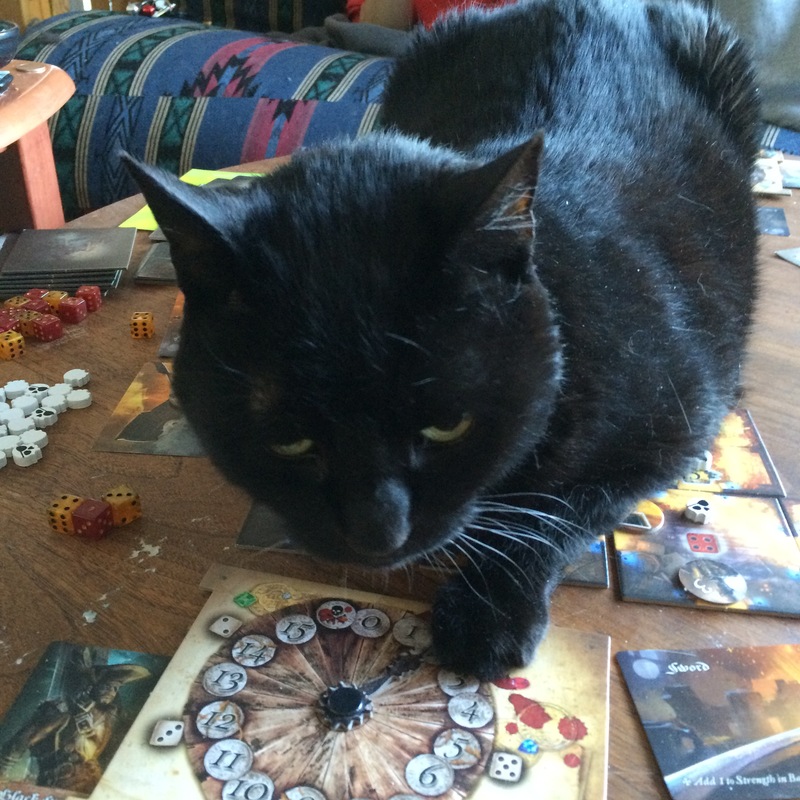 He was running the second instance of “The League of Extraordinary Felines: 1954” in the morning, but I had signed up for a different game because I thought Edmund’s scenario was the same one I had played two or three times. I knew Edmund was hoping to see me in his game, I knew I was going to have fun playing a cat again, so I used the online to cancel my signup for the other game (which really sounded awesome, by the way, but that’s Big Bad Con for you: too many awesome games.) I was really glad that, thanks to the online system, the GM would know I had dropped and someone else would be able to sign up to take my spot. I got up even blurrier than the morning before—where is the gamer resilience of yesteryear?—but I packed my bags for later checkout and went to Starbucks to grab coffee since a 20-oz Starbucks latte was only 35¢ more than a 12-oz. drip coffee downstairs! To be virtuous, I also got us some fruit salads for breakfast, then made my way to the game room. “The League of Extraordinary Felines: 1854” was a new adventure featuring last year’s characters, using the Mutants & Masterminds 3rd. ed. system (Green Ronin Publishing.) Our group was composed of Kendra, playing Pluto, master of the mystical arts; Sarah, playing Dinah the fairy cat; Christine (not the same Christine as Saturday) playing Ta Miu the master of eternal life and time; Xander, playing Mr. Twitchett the gadgeteer and tinkerer; and me, playing Growltiger the brick. It’s the fourth time Edmund runs this setup at a convention and so far, no one has ever signed up because of the system; at best, people remember playing it at some point, but all say that they signed up because they wanted to play a cat! As usual, we had a lot of fun. We investigated murder most foul, faced giant Sumatra rats, then confronted the immense Ratzilla! Growltiger was formidable against minion rats, and Ratzilla was defeated thanks to the combined cleverness of Mr. Twitchett and the rest of the team. Mutants & Masterminds 3rd ed. Our cats face giant rats! Dinah, our cait sidhe, can fly! M&M3e: Rat droppings just got real! After the cat game we grabbed a couple of burgers and fries from the hotel restaurant (they are quite good and I nominate this as the best value for the dollar on the menu), and headed for the last game of the weekend. Edmund and our friend Adi were signed up but I had been unable to snag a spot in time. I was hoping to crash the game, but I saw mid-morning that one player had just dropped so I immediately contacted the host! So that’s another thumbs-up for all-online signups. 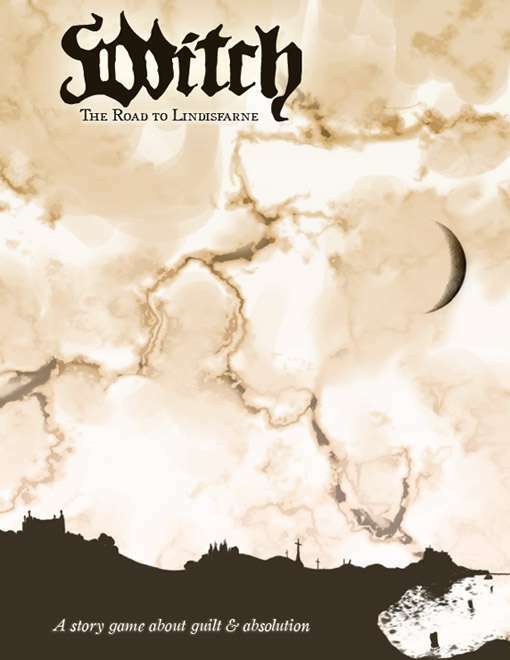 The game was Witch: The Road to Lindisfarne (Pompey Crew Design), a GM-less story game where a witch convicted of bringing the plague is taken to the Holy Island of Lindisfarne, where a harsh ritual will be performed to cleanse her. It was an intense game and everyone gave great role-playing performances, particularly Adi who was a most splendid, unsettling, and heart-wrenching witch. 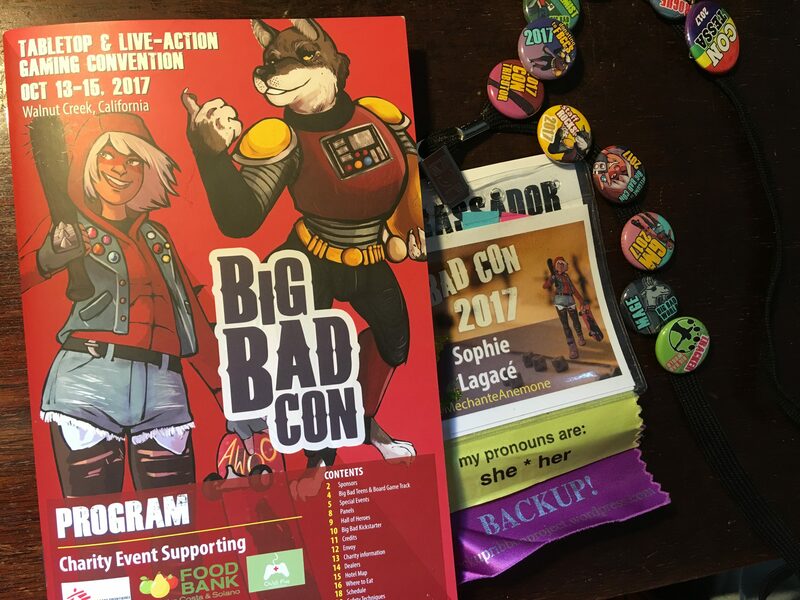 The game and the weekend were over all too soon; we said our goodbyes and headed home, tired but pleased with our time at Big Bad Con. A recap of my time at Big Bad Con this weekend. As staff, I had spent much time earlier in the week seeing to last-minute changes, especially finding replacement game masters willing to run replacement games for cancelled events, as well as preparing the games I was scheduled to run and assembling stuff to bring. On Friday morning I had planned to finish packing my bags and, with my husband, heading over to the convention hotel in Walnut Creek as early as possible. Because of the California wildfires on top of the usual complement of inevitable but sad surprises for a number of people (illnesses, financial disasters, etc. 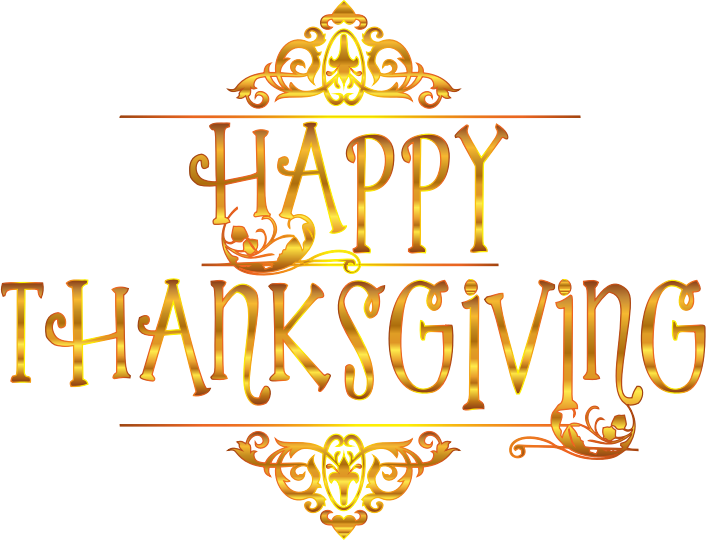 ), we had another wave of GM cancellations on Friday morning, so I scrambled to notify players and fill a few last replacement games, but I am sorry to say I was not able to get to the ones that came in after 10:30am. Edmund and I scrambled to finish packing, grab sandwiches we ate on the road, and get to the convention for noon. 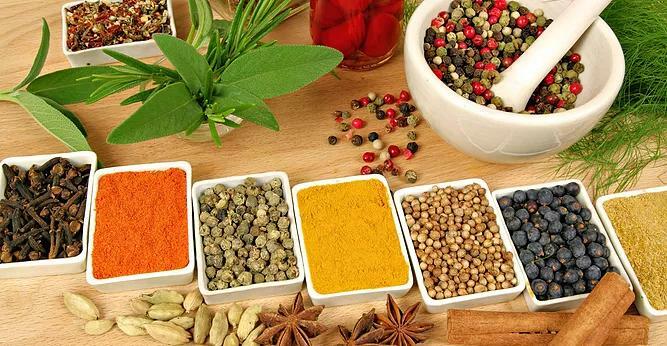 I was stressed and tired and afraid I had forgotten some important task. But walking in meant immediately running into a lot of wonderful people, most of which I see only online and at game conventions. Everyone looked excited and happy. I felt welcomed, reassured. While I checked in at the front desk, Edmund got our badges at Registration. The staff of the Walnut Creek Marriott had our room ready so we dropped our luggage and headed for our shift as Games on Demand GMs. Of the four 2-hour games I offered, we ended up playing Tara Zuber’s Fate World Loose Threads for the whole time. I will recap the game in a separate post, but it was tons of fun. We grabbed some dinner from the hotel restaurant’s buffet, chilling with friends, then Edmund had to leave. Normally, one of us would have made the round-trip home (45 minutes each way) to feed the cats once a day. Unfortunately, one of our cats (Ubaid the Destroyer of Stuff) was diagnosed with thyroid disorder a couple of weeks before, following quick and substantial weight loss. He’s now on methimazole every 12 hours and we’re trying to get him to gain weight. It made more sense to go home at night, and return in the morning. Since I was on staff, Edmund volunteered to do the daily round-trip and ended up missing much of the convention, which was a real shame. When Ubaid’s condition is stabilized, this will hopefully not be needed anymore. After dinner, I played in Tracy Barnett’s first playtest of very early concepts for Fate of Karthun (part of the stretch goals for Karthun: Lands of Conflict.) We had a full table, six players. We were sent by the Underwatch of Narhal to investigate the theft of the Black Cabinet! I played Kistkatsa, a Lizardfolk bard who reminded me of my beloved T’skrang bard in Earthdawn. I enjoyed the character’s combination of flamboyance and powerful support for other party members. The key thing in Karthun is that there is no such thing as a small adventure. Even when things start as small as retrieving a stolen piece of furniture, things are guaranteed to become epic—next thing you know, you find yourself sealing a breech between universes! Thank you to Tracy, Jim, Oscar, Eric, Tom and Yann for a fun evening with great roleplay. I crawled to bed after midnight, trying to figure out why I had all these aches after merely sitting at a table to game most of the day. I noticed last night that even as I have just lost the very last of the wispy hairs plastered to my balding skull, a soft down of new little hairs has sprouted. It’s not much but somehow it was comforting. 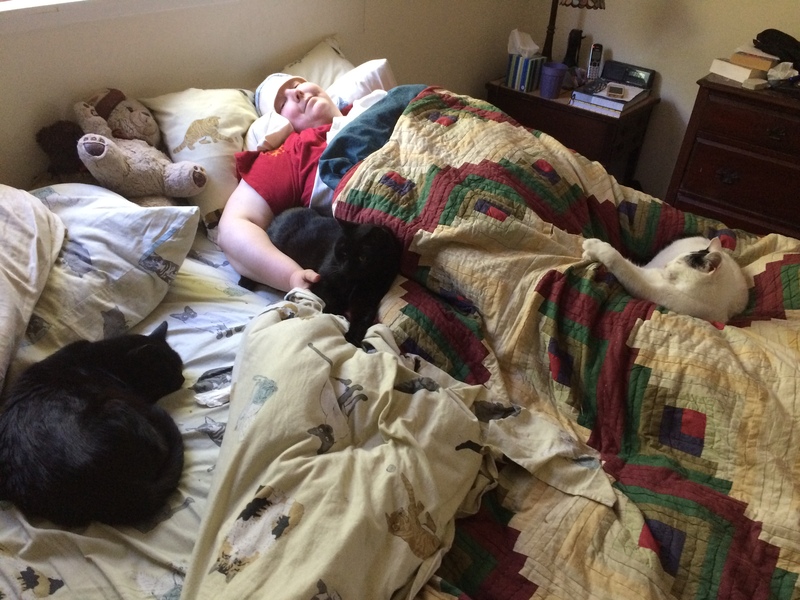 Speaking of fuzzy comfort, here is the oncatogy team deployed around (and on) me for an intensive felinotherapy session. Two years ago today, Give Me Shelter Cat Rescue posted on Facebook about Phantom, a black cat who had been left at a San Francisco animal shelter, reportedly after spending fifteen years with the same people. 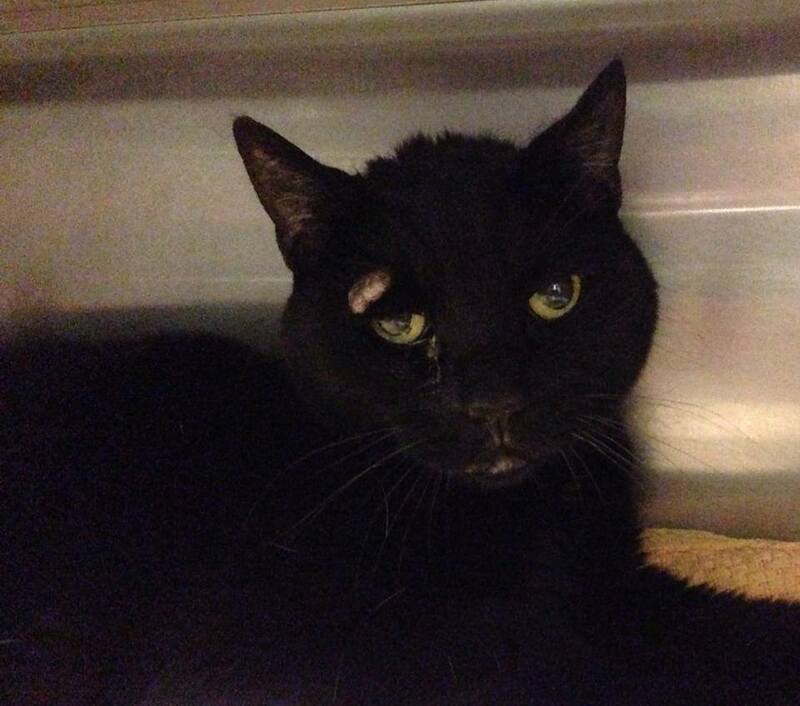 An older black cat with a blemish (a supposedly benign tumour above his right eye), terrified of the brouhaha at the shelter and therefore not responsive to humans: he didn’t stand a chance. He was was going to be euthanized unless someone stepped up immediately to adopt him. Fortunately, a friend (thanks, Brian!) re-posted and I responded that Edmund and I would take Phantom. It was a Saturday; the volunteer from Give Me Shelter Cat Rescue later said that if we hadn’t piped up right then, Phantom probably would not have made it to Monday. Later visits to the veterinarian revealed that the first vet we saw, who had dismissed the tumour as benign, was an idiot. It was a mast cell tumour, and although our (current, really good) veterinarian removed everything she could, the tumour was too deep to completely excise. It’s slow-growing but some day Phantom may have full-fledged cancer. But in the meantime, oh! What an awesome cat! He is such a lovely friend. He loves to follow us around, curl up in physical contact with us, especially between Edmund and I. Edmund is his favourite but I do get quite a lot of cuddles too. We’re so glad he came to live with us! 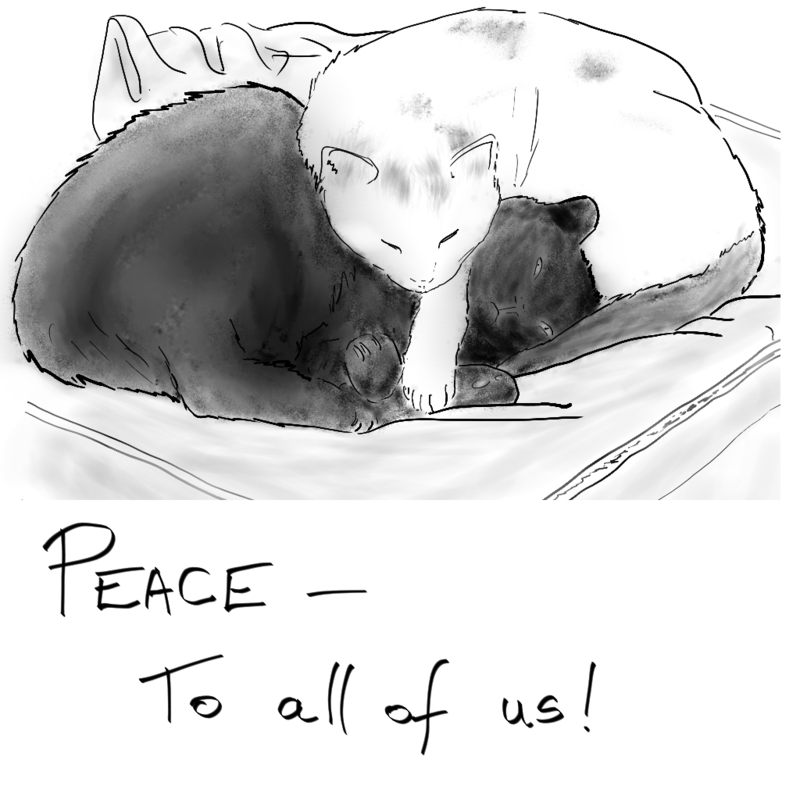 Thank you, Give Me Shelter Cat Rescue volunteers. I opened a Crabbie’s ginger beer and finished wrapping presents this afternoon. For dinner, Edmund made a couple of recipes out of Dolly and Annie Watts’ Where People Feast: An Indigenous People’s Cookbook, baked Alaskan halibut with lemon-dill butter with a side of beet and blackberry relish, plus his famous sautéed parsnips. Now we’re having dark chocolate cupcakes for dessert. Happy holidays, one and all. 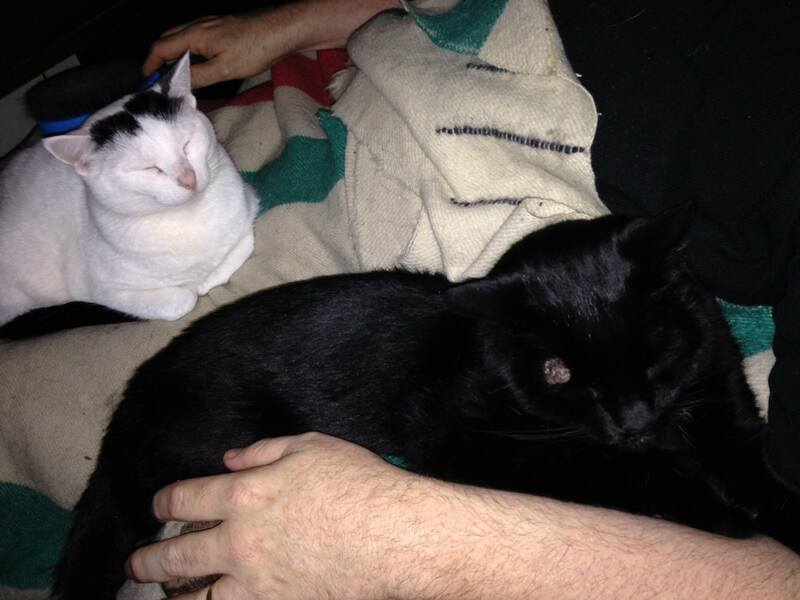 Here is a picture of one of the best things this year, Phantom coming to live with us since July (the black cat in this picture). With him is Valentine, our little beach foundling. Image by Sophie Lagacé 2013, licensed under CC BY-NC-SA 3.0. Based on a photo © Edmund Metheny 2013, used with permission. I’ve seen everyone’s babies, dogs, bunnies and selfies. 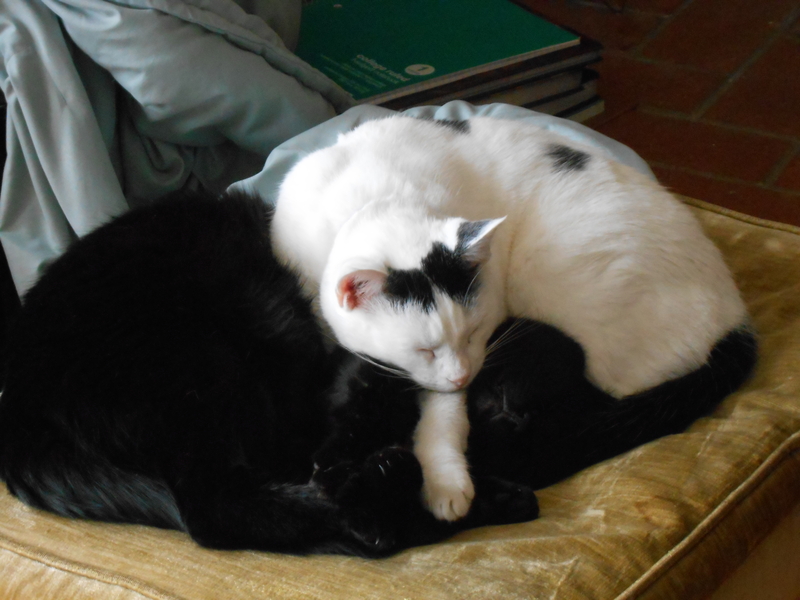 Now it’s Caturday and by gum I’m going to post pictures of my cats. All day. This is our two current household gods, in Transformer configuration trying to form Mega-Neko. Photo © Edmund Metheny 2013, used with permission. This is Claude, a feral stray we didn’t have with us long enough. When we coaxed him into our house and managed to get him seen by a veterinarian, he turned out to have FeLV (feline leukemia virus). We had to keep him and his food completely segregated from our other cats (at the time, Eurekatous and Mrs. Pedecaris), but luckily the configuration of the house allowed that. 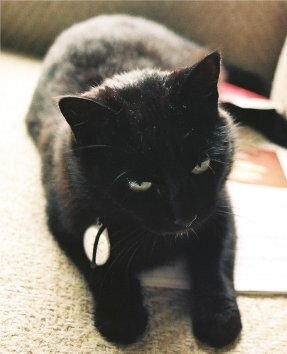 He died only a few years later, but it was a joy to see him turn from feral killing machine to lap cat. Photo © Edmund Metheny 1998, used with permission. 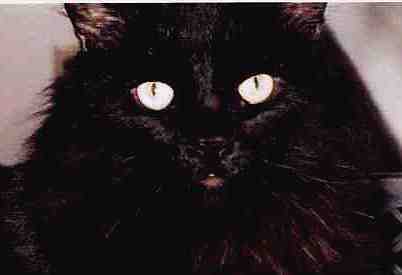 This is Mrs. Pedecaris, a foundling who adopted us in Quebec during our honeymoon in 1996. She had taken refuge near the dumpster outside a restaurant we ate at. We tried to find her home, or a new one, but failed, so we kept her. She was name for the character played by Candice Bergen in The Wind and the Lion because, as Sean Connery’s character the Raisuli (a Berber chief with a Scottish slur): “Mrs. Pedecaris, you a grreat deal of trrouble.” We miss her and her habit of nesting on top of the old CRT monitor and falling on the keyboard. Photo © Edmund Metheny 1996, used with permission.